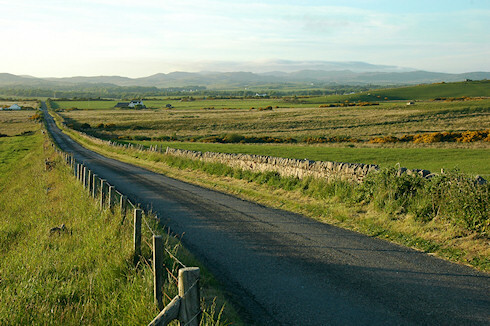 That's of course the B8016, to many better known as the ‘High Road’, from Port Ellen to Bridgend. I took this picture on a beautiful June evening with fantastic light, driving to Kilchoman after having arrived in Port Ellen with the ferry. I hope Jane will have similar weather and views during her long run! As usual I will post the larger version (larger as in more than twice as big) on the Islay Pictures photoblog on Saturday morning. Until then, have a great Friday evening! May be with an Islay single malt? Mine's a Laphroaig 18yo this evening.